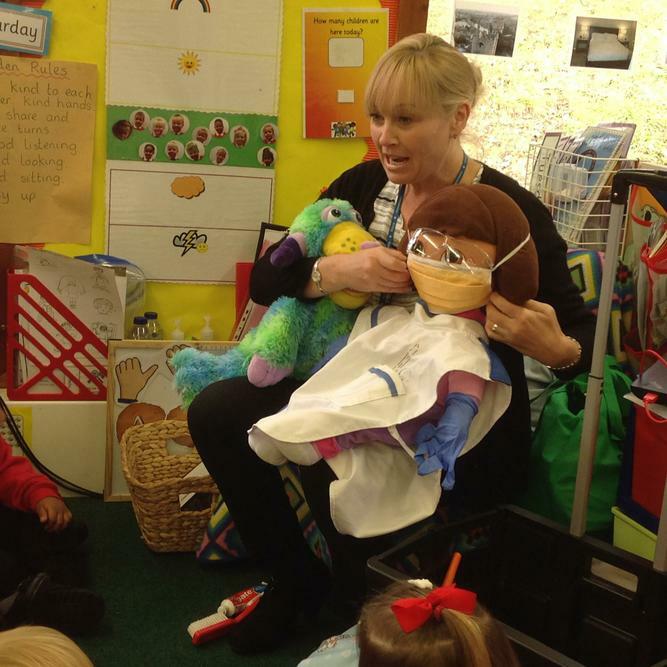 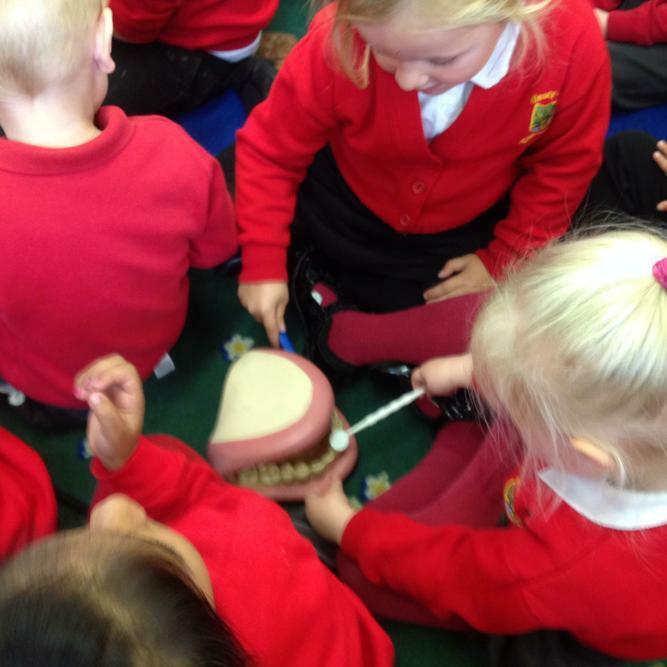 We had a visitor from Community Care Trust who talked to us about the importance of looking after our teeth. 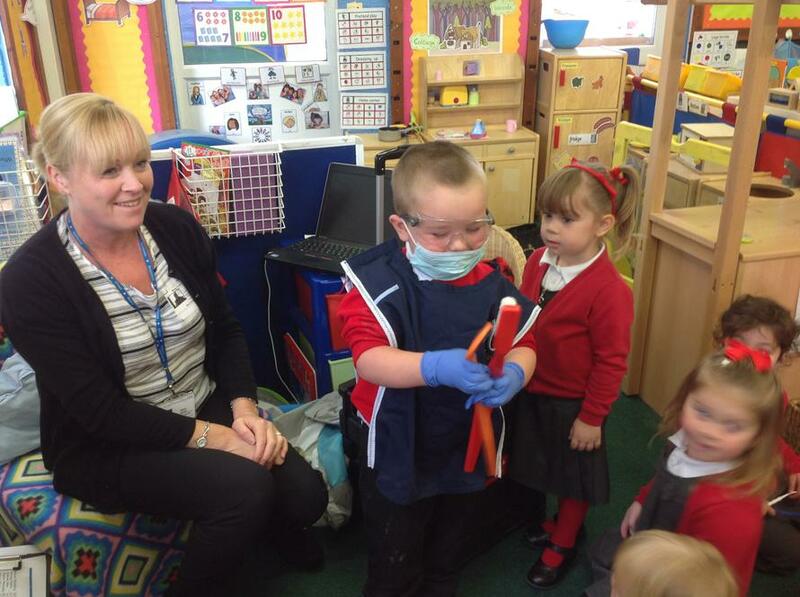 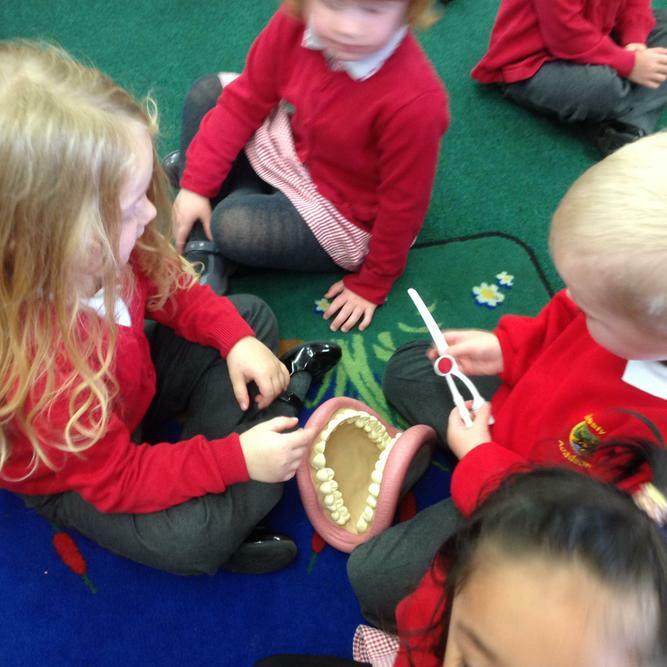 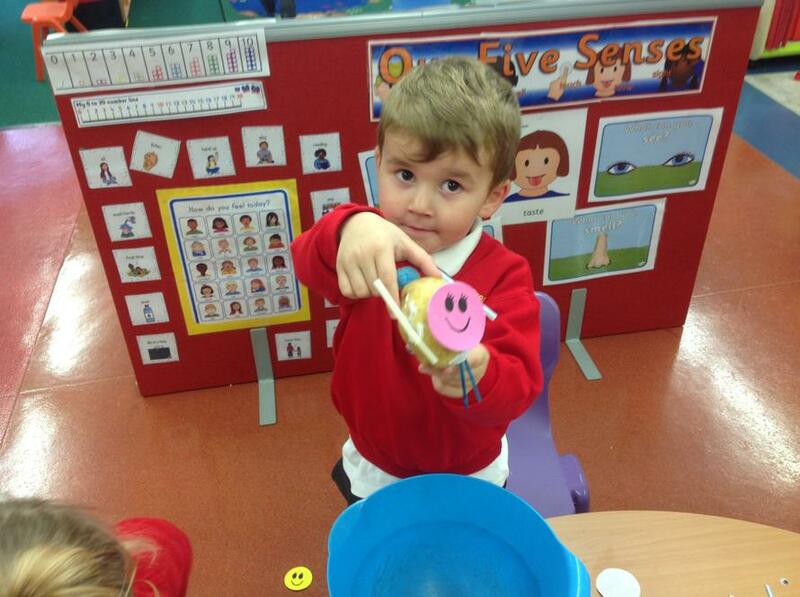 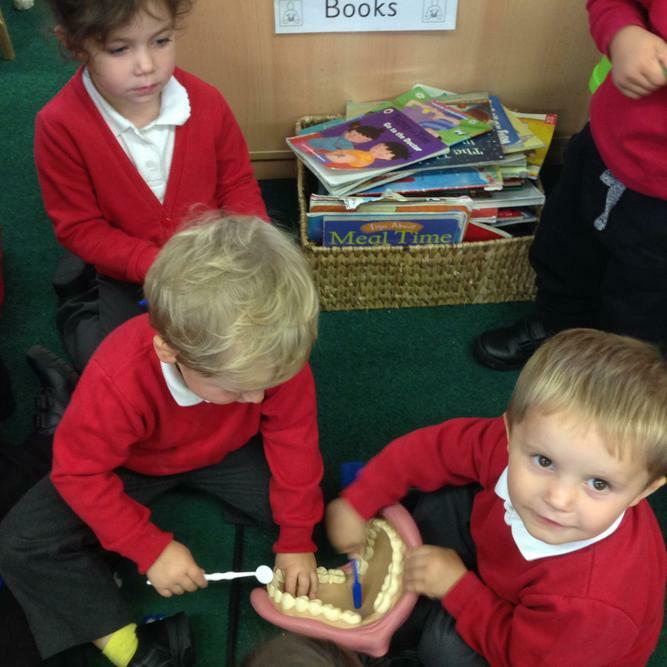 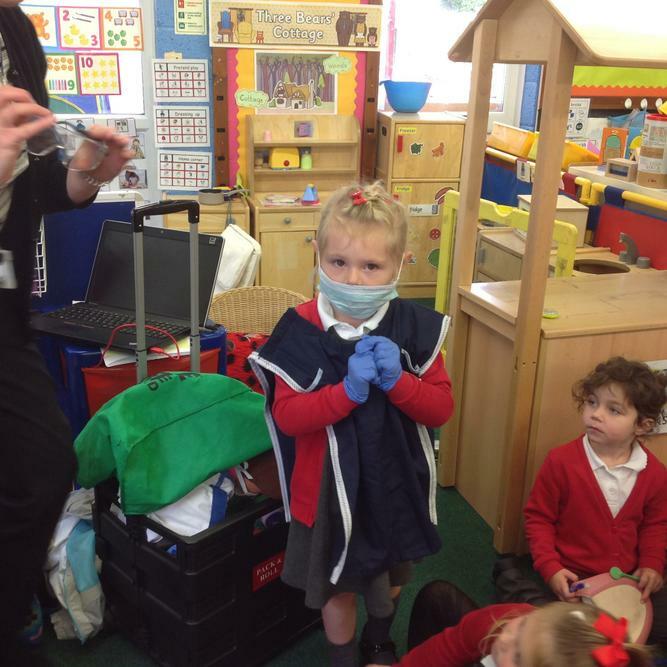 We had lots of fun dressing up as a Dentist and practised cleaning some rather large teeth! 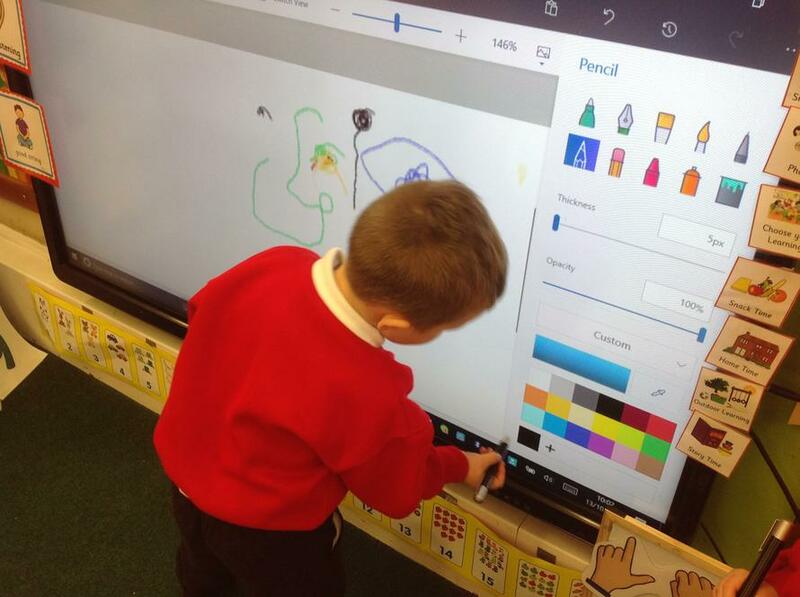 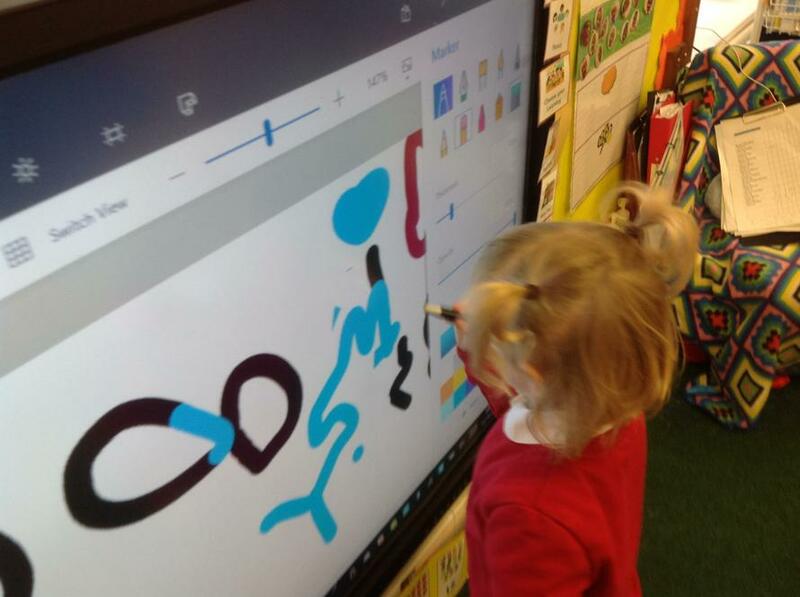 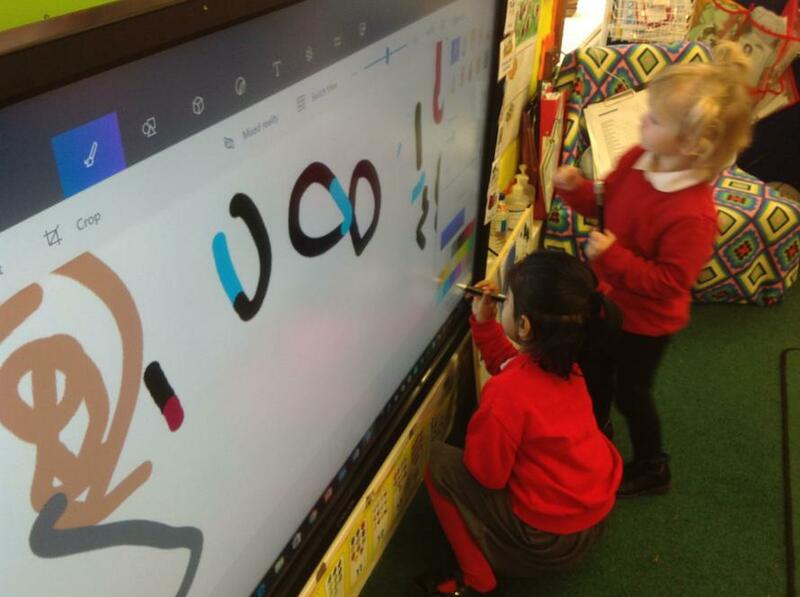 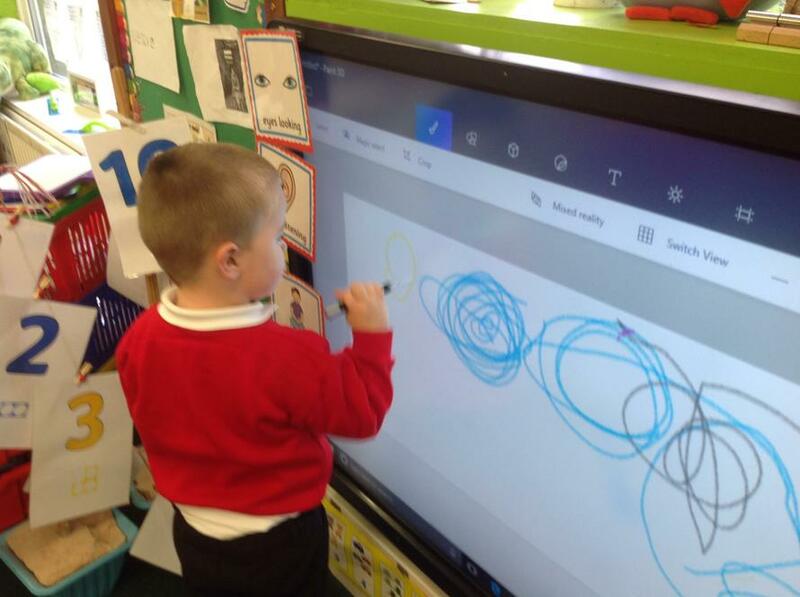 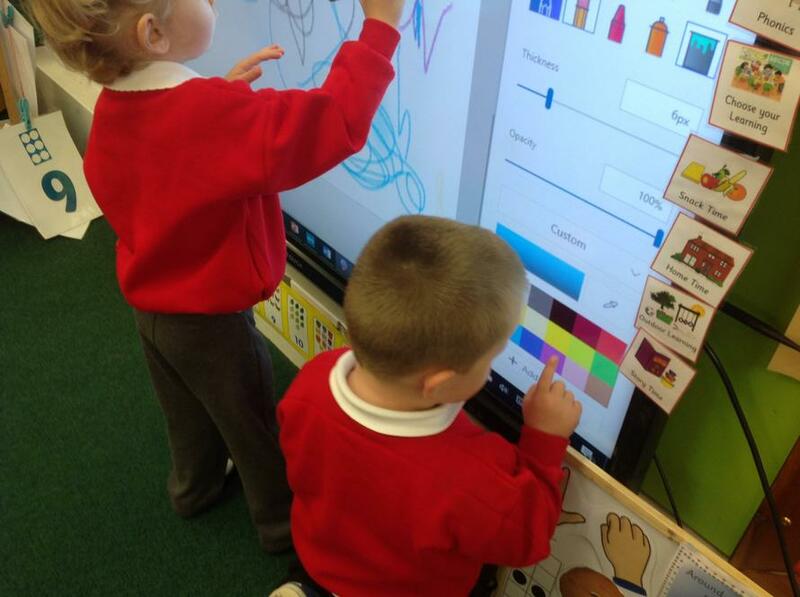 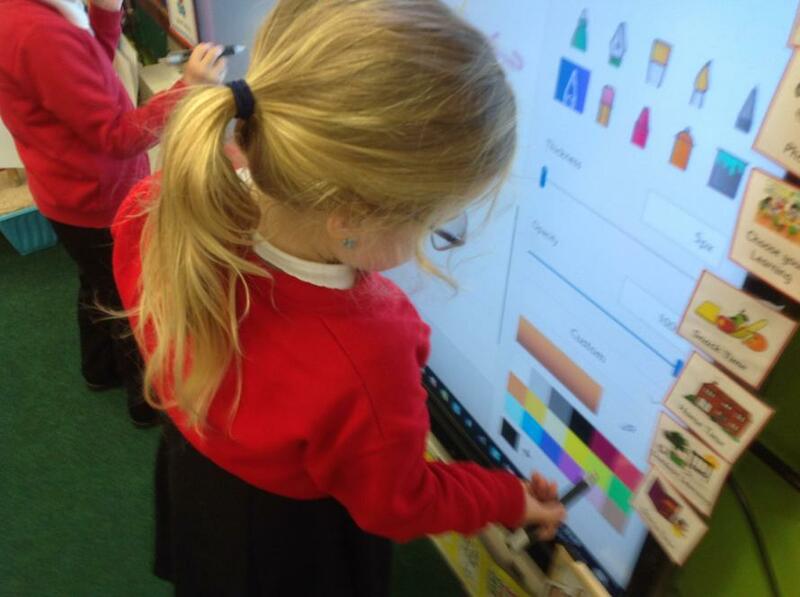 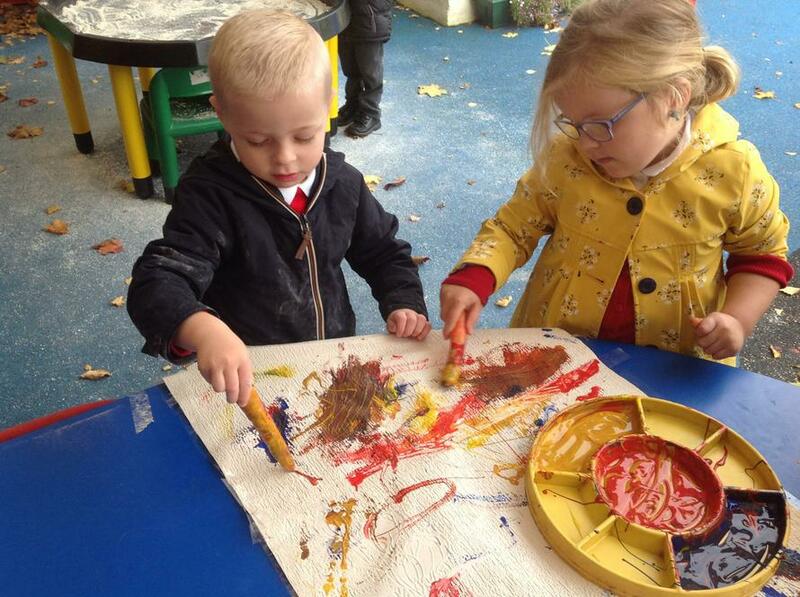 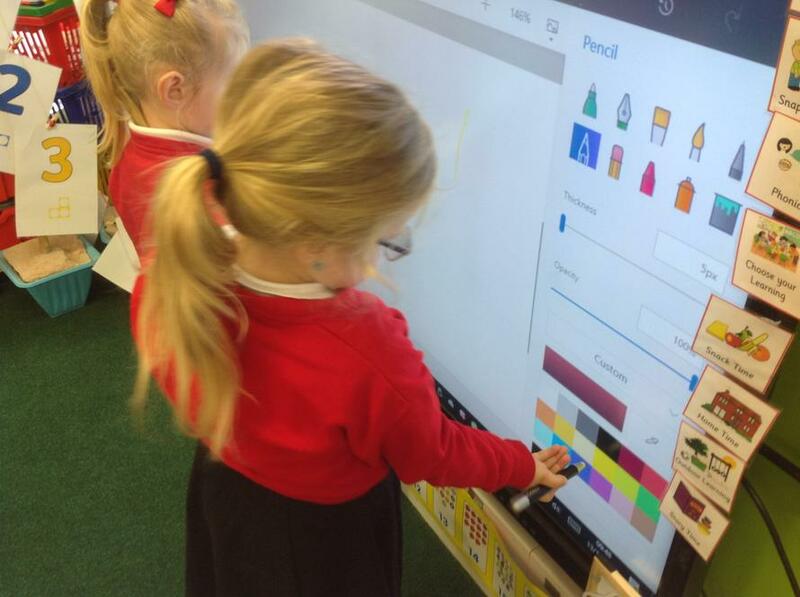 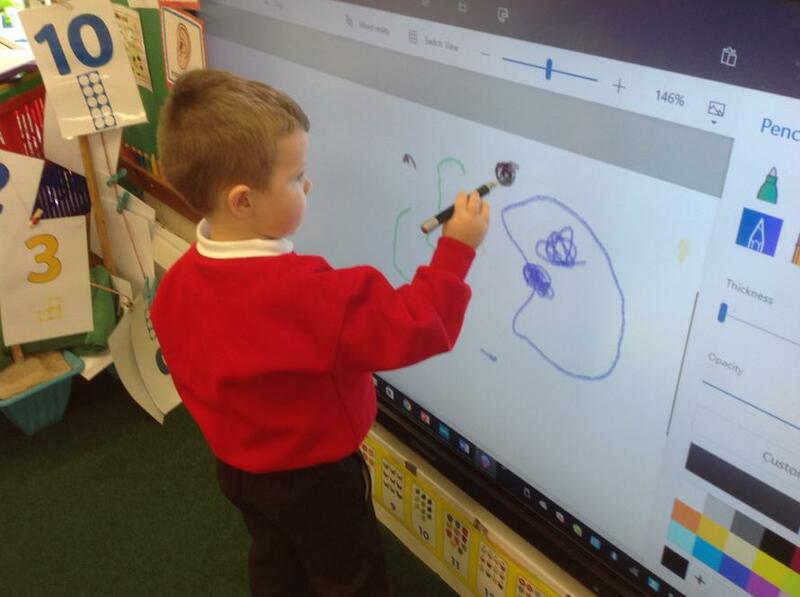 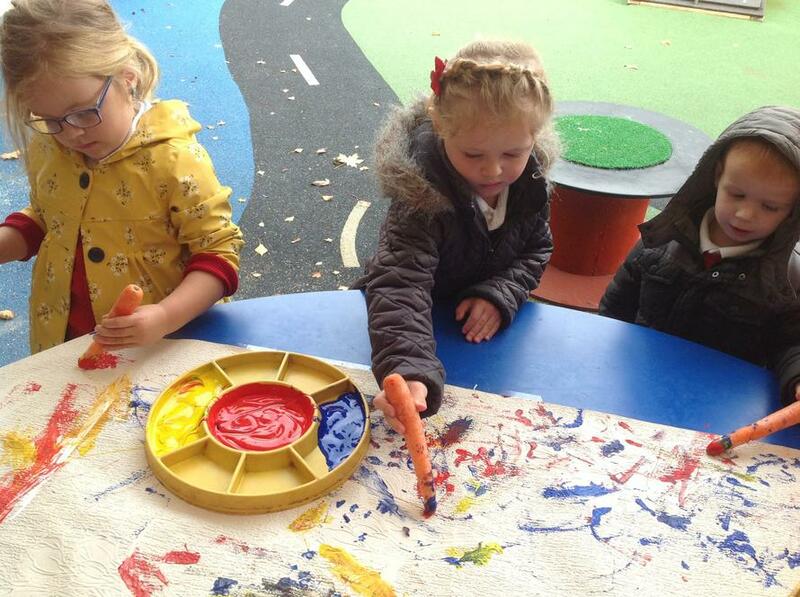 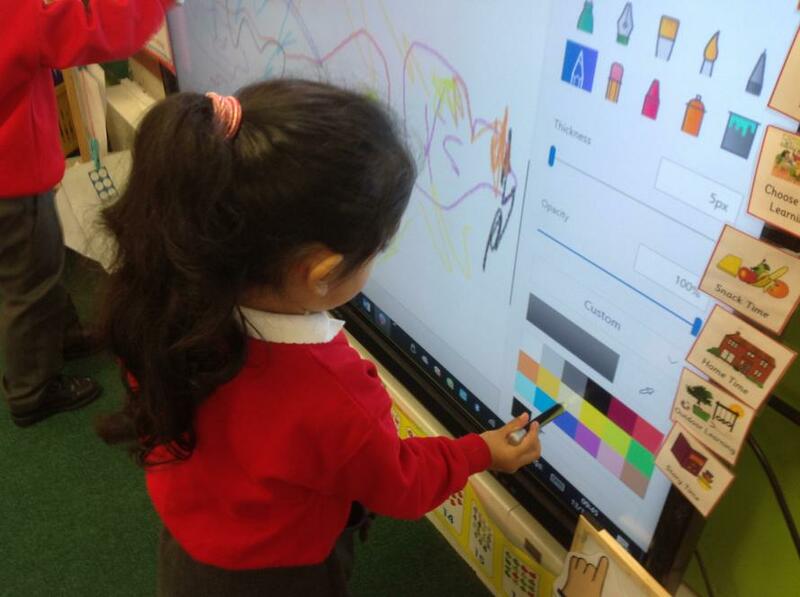 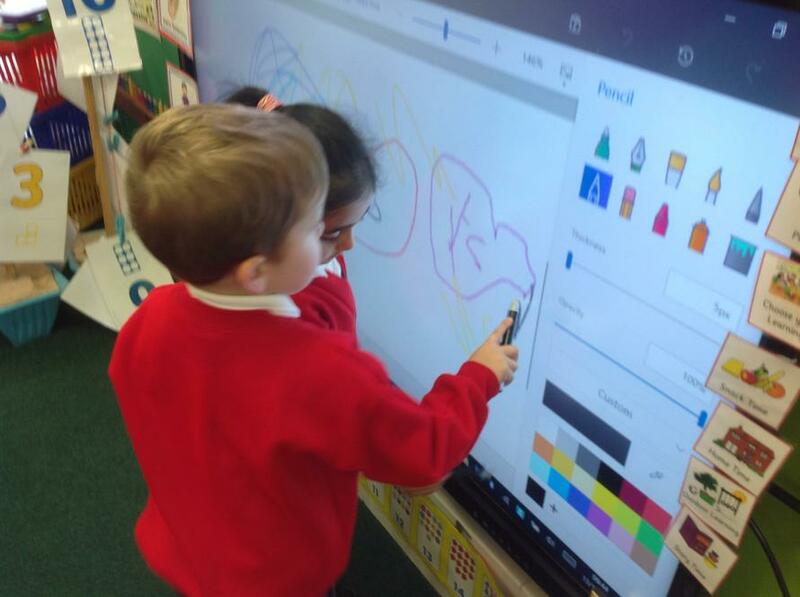 We have been learning how to use the Paint Programme. 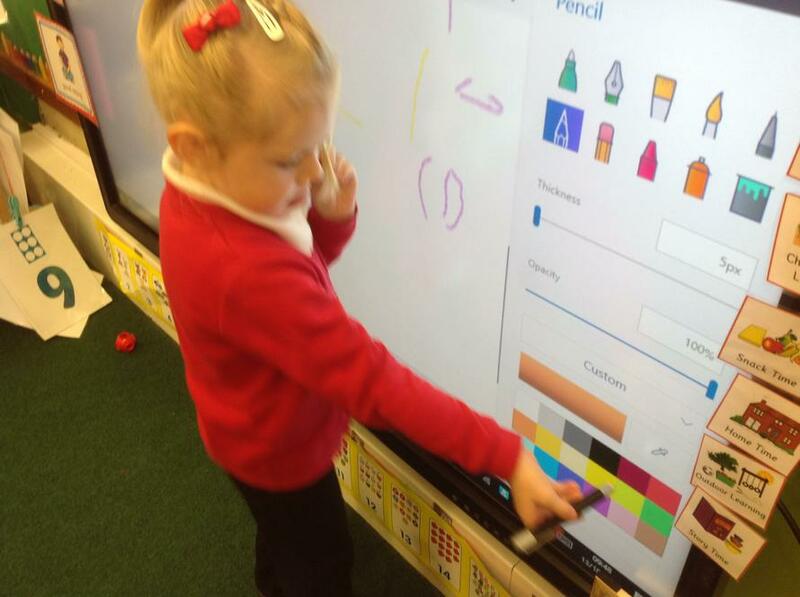 We can now change colours and the font size. 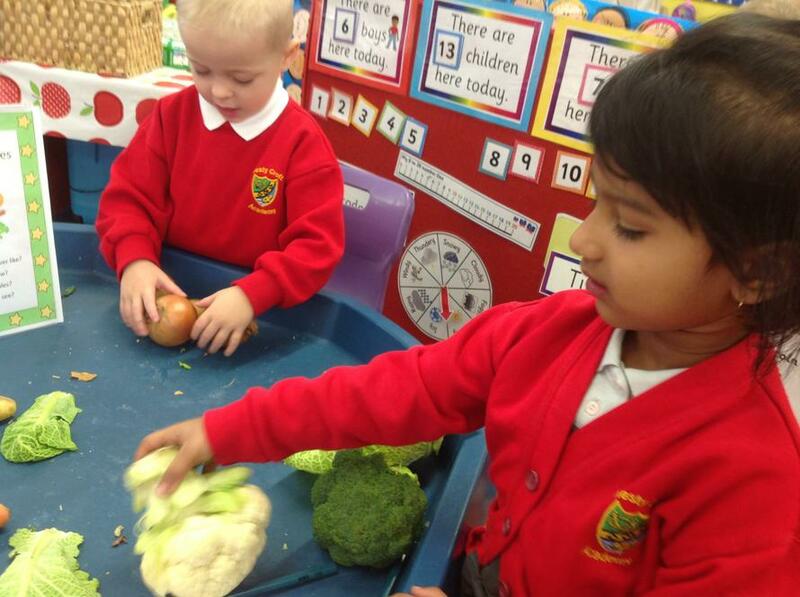 We celebrated Harvest by reading Oliver's Vegetables. 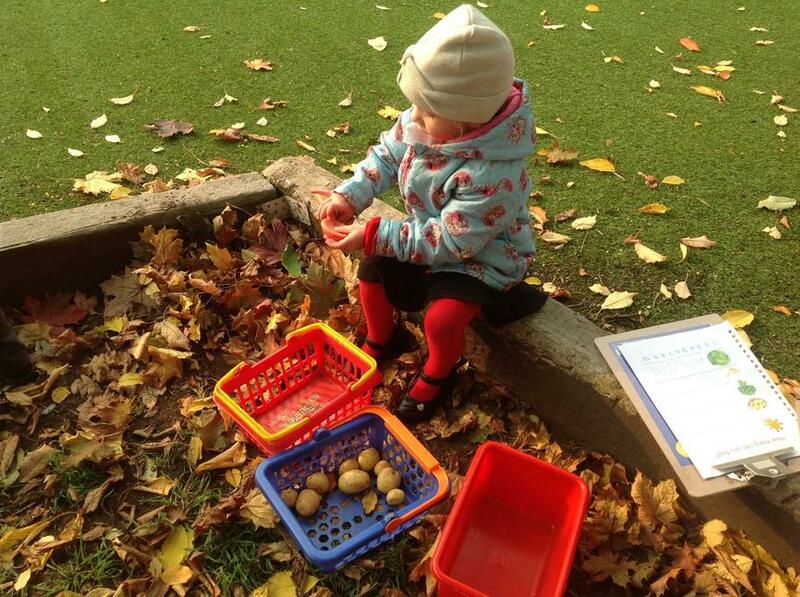 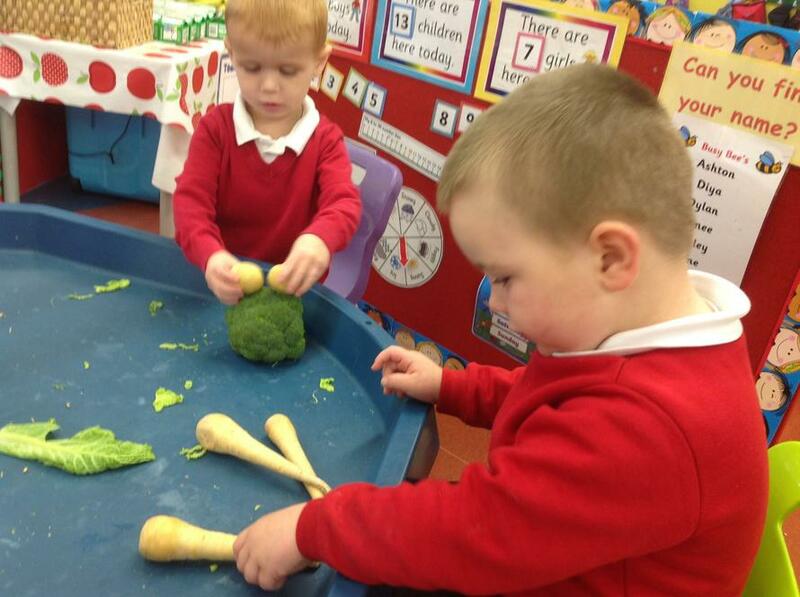 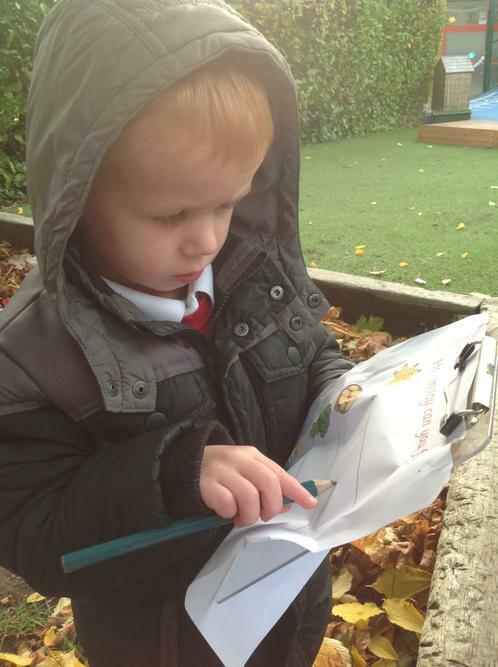 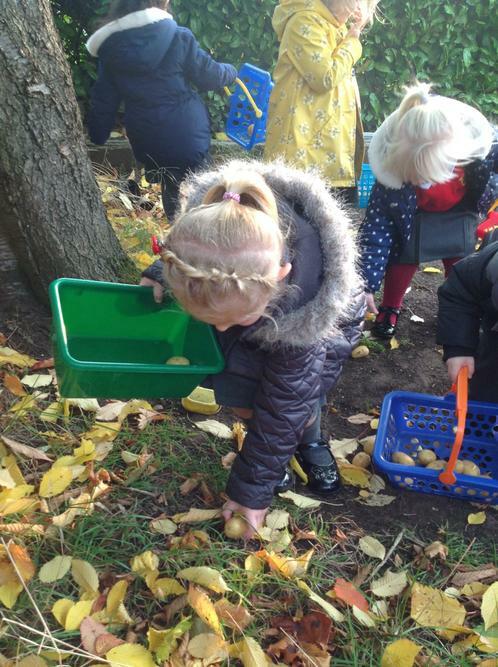 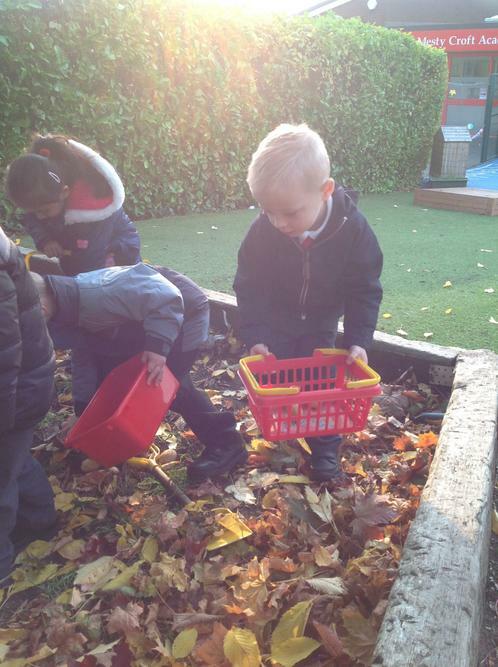 We enjoyed collecting vegetables outdoors. 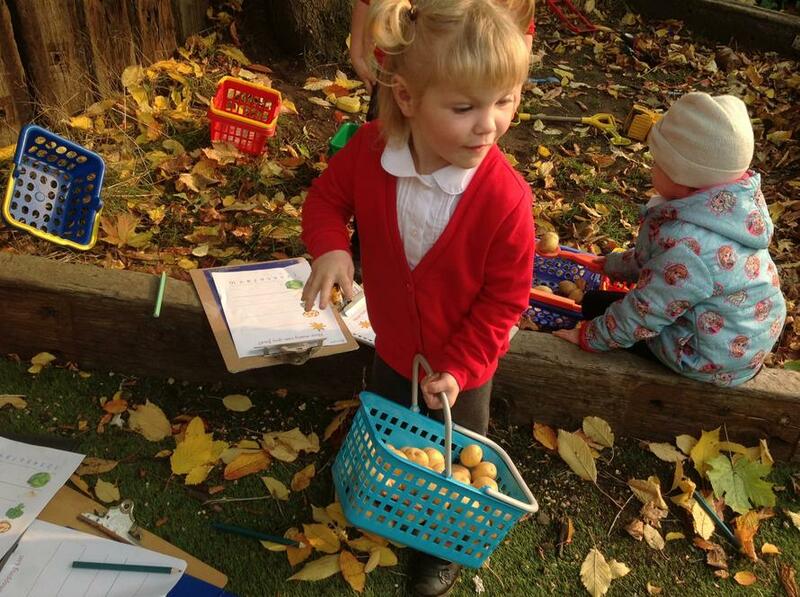 We counted them and recorded how many we had found. 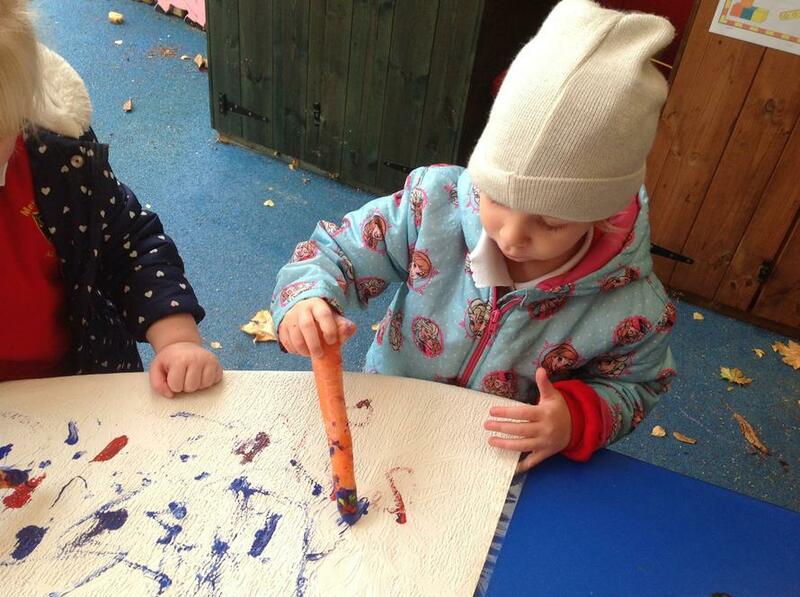 Writing with carrots was lots of fun. 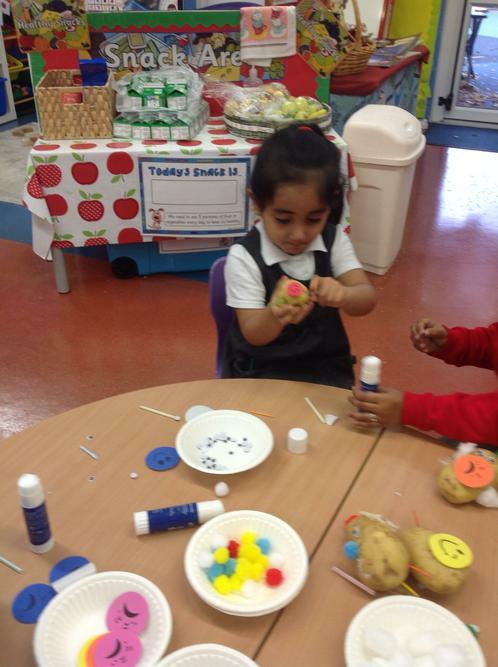 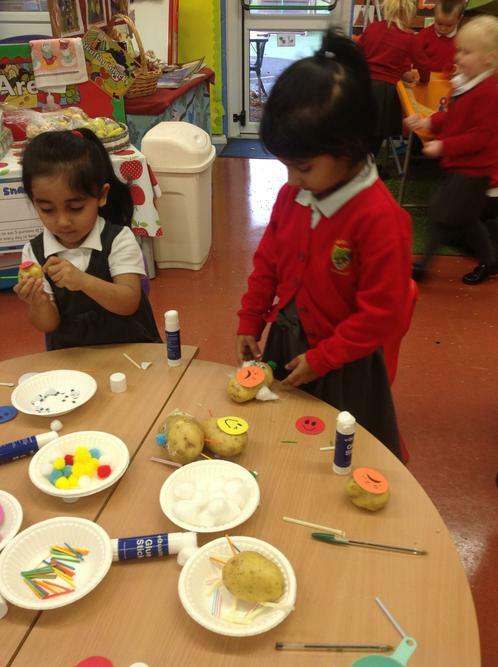 We also selected our own resources to make a Potatoe Head. 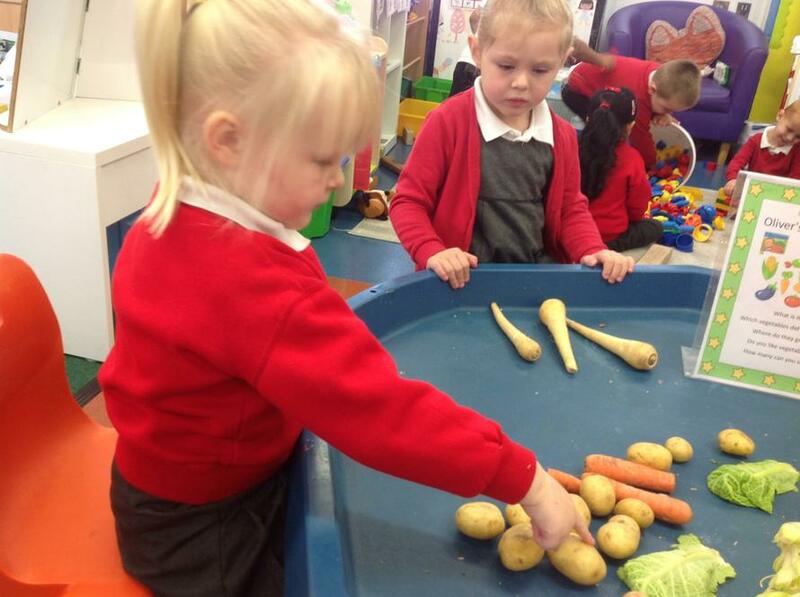 Our Harvest Assembly was fun, we enjoyed singing and dancing. 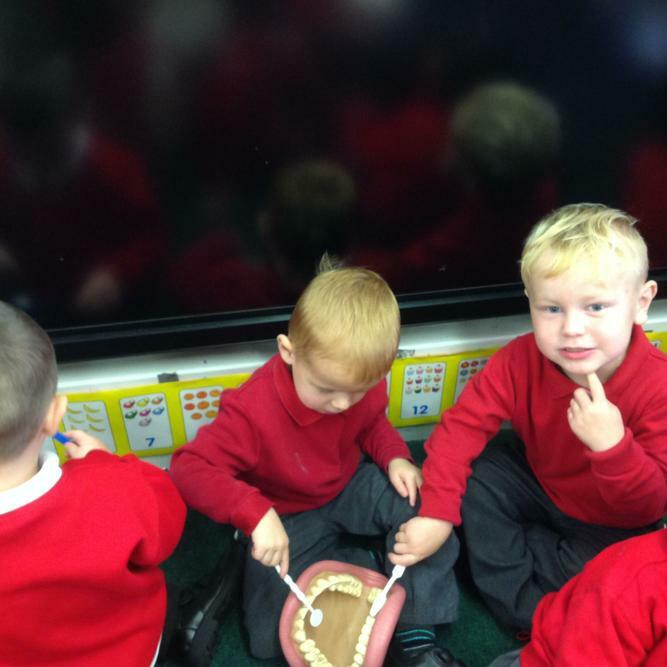 Everyone clapped us because they enjoyed it.